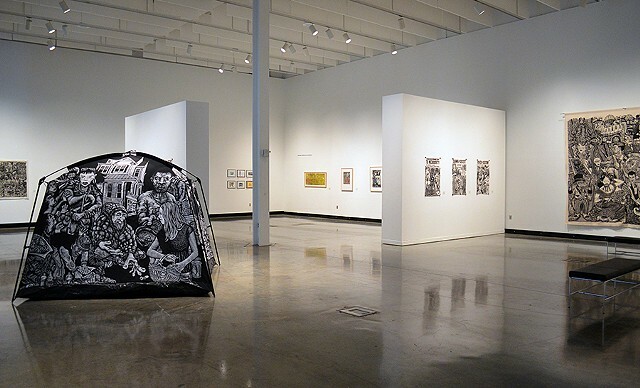 "The Cannonball Press: A woodcut cavalcade of true stories and tall tales" is a curated exhibition of prints by Martin Mazorra and Mike Houston. Cannonball Press have been publishing and screen printing since 1999 based in Brooklyn, NY. Around 2004, in addition to publishing, they started to make large scale collaborative woodcut prints, sculptures and installations. Their work has taken them to Estonia, South Africa, Germany, Denmark, and all over the U.S.A.